As kidnapping and other forms of insecurity takes a toll of Lagos, the state government has begun the construction of security watch towers at the Model College, Igbonla. This, the government says would be mounted with surveillance cameras and manned 24 hours to ensure that intruders could be located from afar before they wreck havoc. The permanent secretary of the ministry of Education, Mr Adesina Odeyemi and the tutor-general /permanent secretary, Mrs Margaret Solarin, were both at the school on Monday, May 5 for first-hand assessment of the situation. It was further learnt that the commissioner of police, Mr Fatai Owoseni and the divisional commander of the Neighborhood Safety Corps, Mr Semi Lateef, were also on ground to further ensure safety. Speaking, Owoseni said he was in the school to observe the resumption trend, assuring that security agencies were working to ensure the safe return of the abducted children but were being careful with the use of force. A statement from the government said there was no sign of apprehension or anxiety in the staff and students who were seen going about their normal activities. “SSS III Science students were seen doing their physics practical for the NECO examination,” the statement said. Since the kidnap of six students from the school on Wednesday, May 24, there had been heavy security presence in the school to ensure safety of the students. On Monday, May 5, security operatives were on patrol while some were on ground to ensure safety. Contractors were also seen working on the construction of the watch towers. “Apart from the watch towers, the perimeter wall fence is being illuminated with forty 250 watts halogen lamps for security survey throughout the night. “The bush adjoining the perimeter fence has been cleared while armed security operatives will be deployed permanently to man the school,” the statement said. 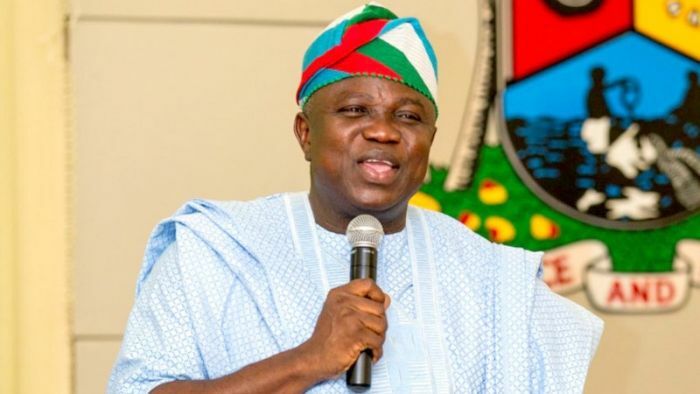 Governor Akinwunmi Ambode had promised during the Children’s Day celebration that his government would stop at nothing to ensure the safe return of the abducted children of the school. This followed the violence that led to the killing of a leader of the head of the Motorcycle Operators’ Association of Lagos State (MOALS), Alhaji Rasaq Bello, popularly known as Hamburger. The government said the affected branches of the NURTW are LOB A, LOB D, LOB J, Oshodi A, Oshodi B, Oshodi C and Oshodi D.
At a news conference jointly addressed by officials of the state, the police and NURTW, the government said while the suspension order lasts, there would be no collection of tickets/fees from commuter buses operating in the area. 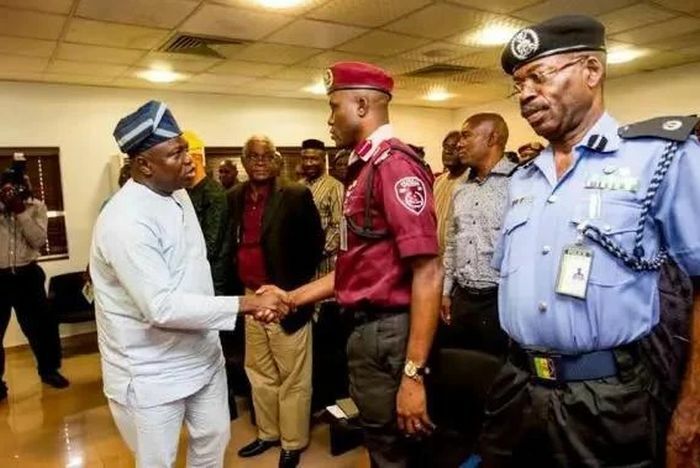 The state’s acting commissioner for Transportation, Prince Olanrewaju Elegushi, said throughout the duration of the suspension order, a team of the government and security personnel would be mandated to oversee and monitor the transport operations within the affected branches to ensure they do not collect any ticket or fees from transport operators. He said: “For the avoidance of doubt, police investigations are ongoing on the said death and all persons found culpable will be prosecuted in line with the dictates of the laws. The commissioner said as part of the strategies to permanently address incessant crisis arising from activities of transport unions in the state, the government has already put in place the Bus Reform Initiative (BRI) through which 5,000 air-conditioned and convenient buses would be injected into the transport sector, adding that the initiative would soon be launched. Speaking also, the deputy commissioner of police in charge of operations in the state, Mr Imohimi Edgal, confirmed that some arrests had been made following the crisis and that investigation had started in respect of the violence. He assured that anyone found culpable in the crisis would be prosecuted in accordance with the law.